Stunning and incomparable, our large round hoop earrings present diamonds on both sides - inside & outside. 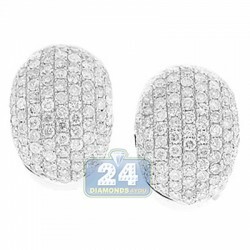 Icy white round brilliant-cut natural diamonds are totaling 4.88 carats, VS1-VS2 clarity, F-G color. 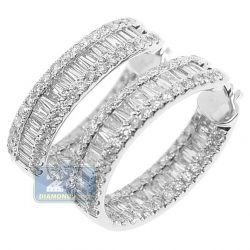 Created in cool 14k white gold with highly polished shiny finish. 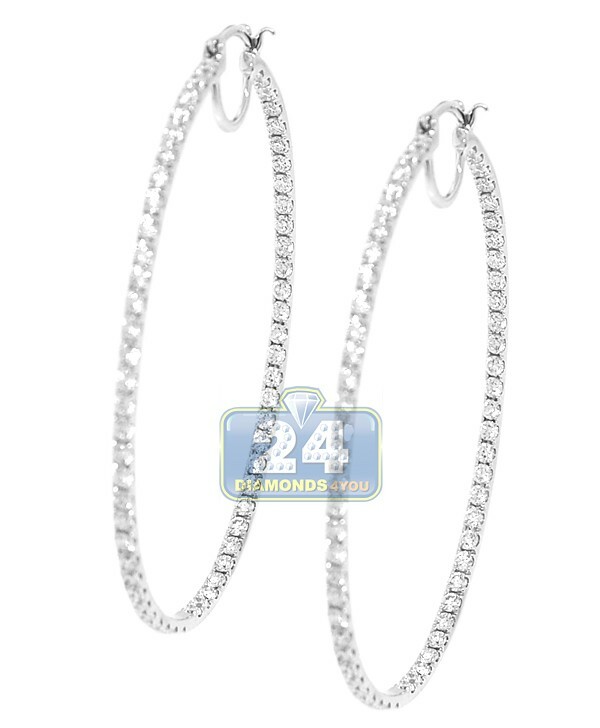 They measure 60 mm in height and 3 mm in width. 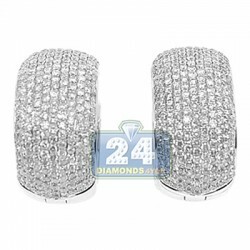 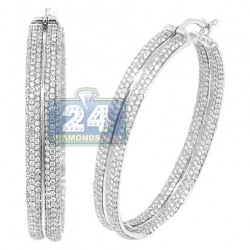 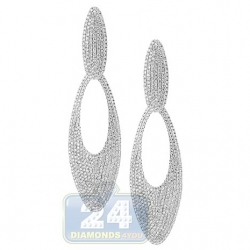 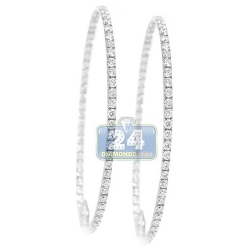 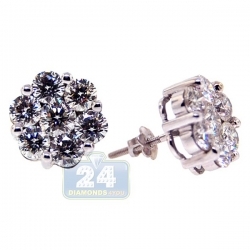 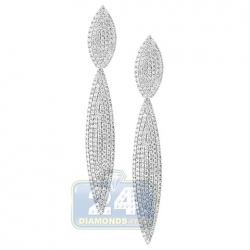 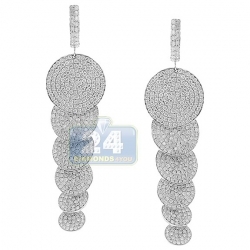 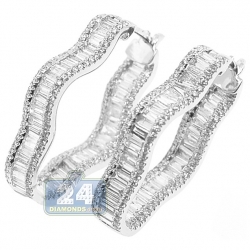 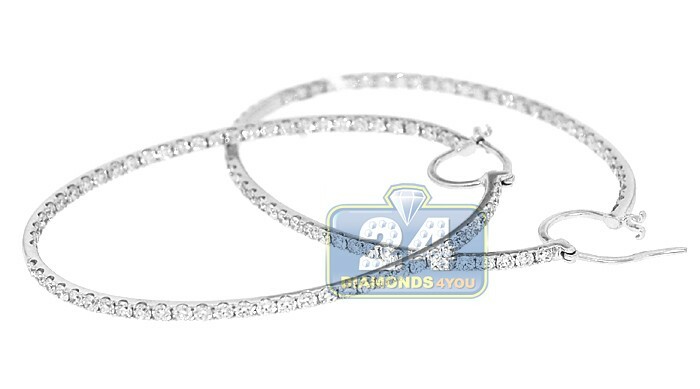 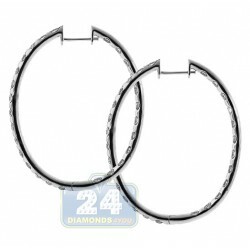 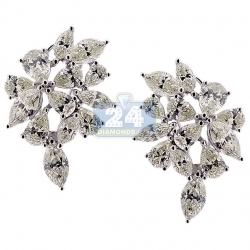 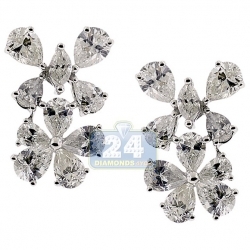 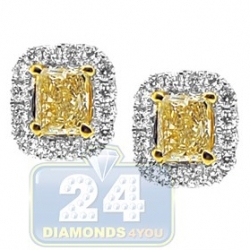 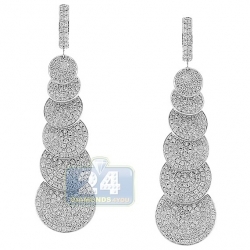 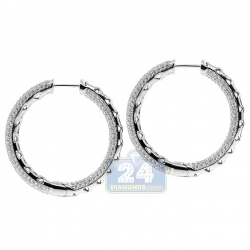 These lovely women's diamond hoops have a strong secure backing and a remarkable look!